I should also point out that sometimes the host is connected through a VPN while other times it is simply plugged directly into the corporate network. When it is plugged directly in, a bridged adapter satisfies all 3 conditions. Ideally, there would be a configuration that satisfies all 3 conditions regardless whether there's a VPN or a direct connection. I had the exact same problem, and saw it through to resolution, so I'm happy to explain the problem and solution in detail. It is important to understand the configuration that is required in order to meet your requirements without involving a VPN. Also, this information assumes that no software firewall is interfering, neither on the host nor the guest. 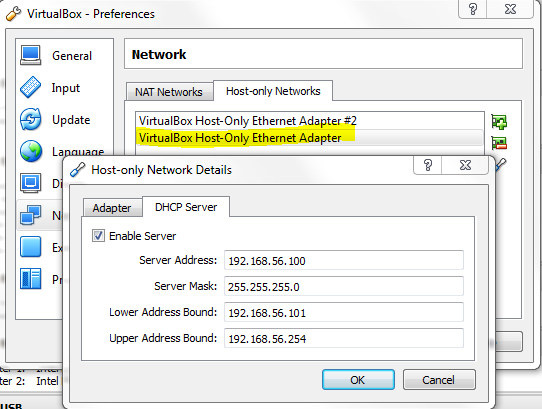 Without a VPN, this is normally solved by creating two network adapters in the virtual machine's configuration. 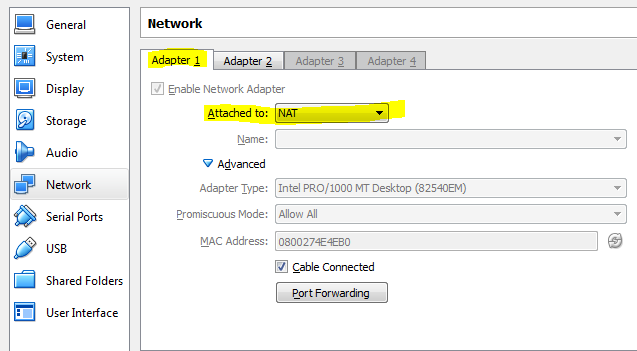 The first adapter must be set to NAT mode, which enables the guest to access network resources (including the Internet) through the host's network interface. The second adapter must be set to Host-only, which enables bidirectional communication between the host and the guest. 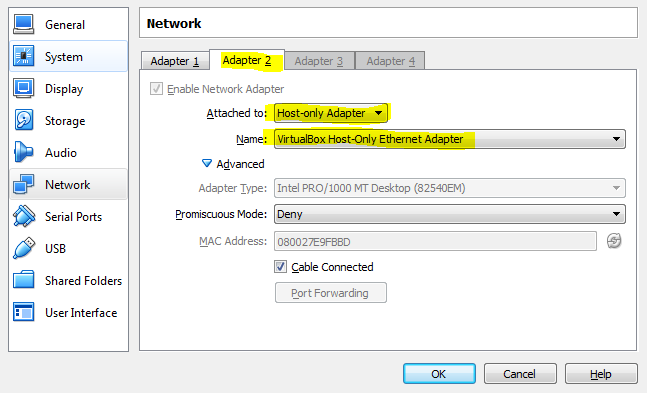 This adapter is slightly more complex to setup than the first, because it requires modifying VirtualBox's global networking preferences in order to configure the host-only adapter (note: this requires Administrator privileges). In VirtualBox, go to File -> Preferences -> Network. Click the Host-only Networks tab and click the little + icon to add a new adapter. You will be prompted to elevate VirtualBox's permissions. Now, in the guest operating system, the network must be configured to utilize these two network interfaces. Restart the guest's networking services, or more simply, restart the entire guest VM, and everything should "just work". At this point, one should be able to ping the guest VM at 192.168.56.101 and receive a reply (provided a software firewall is not interfering). Likewise, one should be able to ping the host at 10.0.2.2. This IP address seems to be "hard-coded" into VirtualBox's NAT implementation, or at least specified via some non-obvious configuration directive, and there is little information available as to its origin. But, alas, "it just works". Given this configuration, all three conditions outlined in your question are met. But, here's the rub. Introducing the VPN causes a show-stopping problem (well, depending on the specific VPN and its configuration). Modern VPNs are capable of Split Tunneling, which is required for the aforementioned VirtualBox configuration to function per your three requirements. For (good) security reasons, split tunneling is often disabled, and this is precisely the problem in your case (and mine). 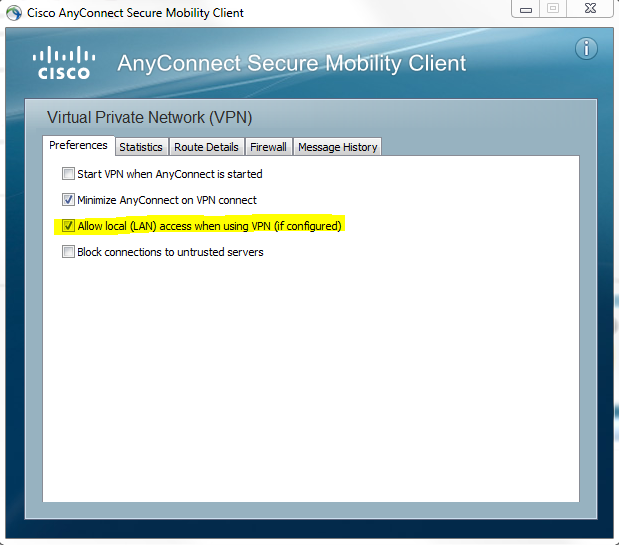 When you connect to the VPN, the VPN client (Cisco AnyConnect Secure Mobility Client, 3.1.02026, in my case) examines the host computer's routing tables, remembers them, and then paves-over them with values that typically come from some centrally-managed location (i.e., even with local Administrator privileges, it is impossible to override the settings). 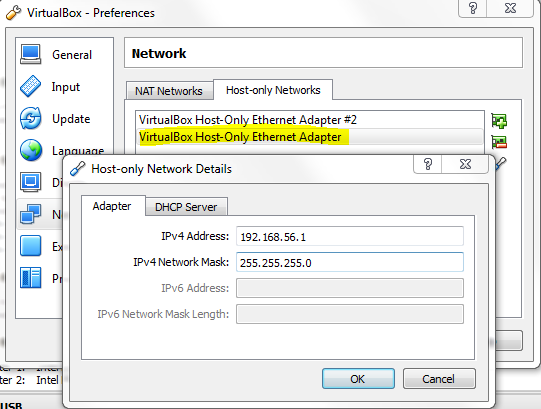 Before connecting to the VPN, the routing table contains crucial entries that allow this VirtualBox configuration to function correctly. Connecting to the VPN causes these entries to be removed, which prevents communication between the host and the guest. Without those last two entries, the host and the guest cannot communicate, and this is precisely the intended behavior when split tunneling is disabled in the VPN configuration. Upon disconnecting from the VPN, well-behaved VPN clients will restore the routing tables that were in place prior to connecting. My VPN client seems to do this reliably, which is beneficial because it means that the guest VM does not need to be restarted when I connect to, or disconnect from, the VPN. In such cases, the VM's secondary adapter is reset, but it re-acquires its IP address automatically and transparently, restoring communication between the host and guest almost immediately. Better yet, NFS mounts between the host and guest (I'm using CIFS mounts) remain connected across VPN connect/disconnect operations. In the unlikely event that your VPN allows split tunneling, it may be a simple matter of enabling it, in which case, I would love to hear from you as to whether or not "everything just works". Not the answer you're looking for? Browse other questions tagged networking virtualbox vpn or ask your own question.